I spaced out and booked us so that we ate out all day on Sunday – even though I had planned and bought some lamb, chard, and potatoes for a nice treat for dinner. Instead, we had a lovely brunch at Morning Glory and a birthday dinner with my sister at Rivoli. So, I’m going to distract you with sunshine and lemons. This is a slightly dense and totally moist and flavourful lemon cake that goes well with breakfast, or is delightful as an afternoon snack. I love making it whenever I have plain yogurt on hand (which isn’t very often), and the bright citrus taste always brings a little sunshine to my day. It was with this thought in mind that I picked up some lemons on Saturday when we ventured out in the -19 weather to get groceries. In the middle of this bleak and freezing day, a slice of this cake with a warm cup of tea in the afternoon is perfect. The recipe is from the Barefoot Contessa at Home cookbook that I received a few years ago when I first started building my kitchen. The book is great for basic recipes, and there are quite a few staples in here that I tend to revisit quite a bit. 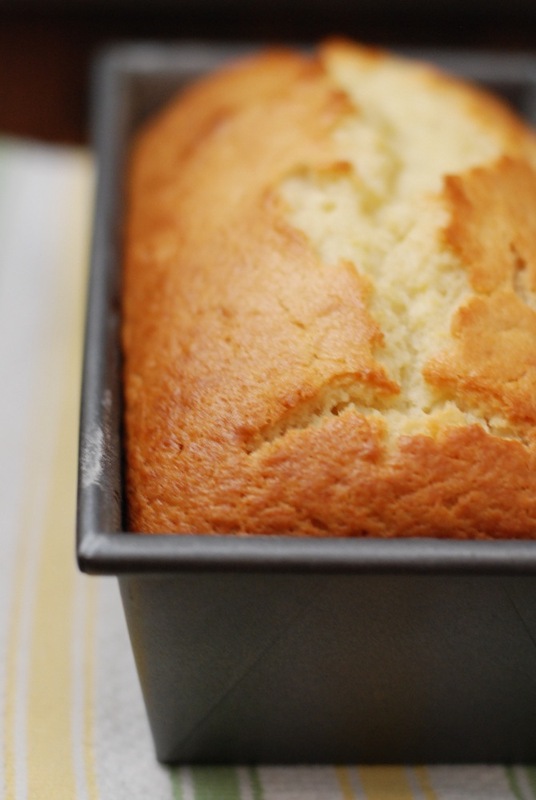 I have also since read that yogurt cake is a very typical French snack, and from there have made my own adjustments to all the recipes for yogurt cake I’ve come across, to get to the one below. Pour into pan and bake for 45 – 55 minutes, or until a toothpick comes out clean. The top always cracks for me. If you have any tricks/patience to try different temperatures or techniques, please feel free to share in the comments! 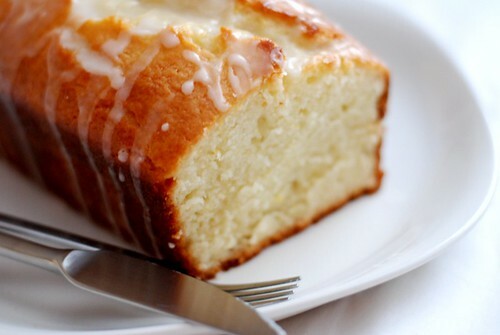 Mix together the icing sugar and lemon juice until it’s a thick syrup consistency, and drizzle over the cake. Let the icing cool and harden before slicing. Hope you’re all keeping warm and cozy and doing the Summer dance with me! Personally I LOVE how the top cracks! Also you know what I do with this cake? 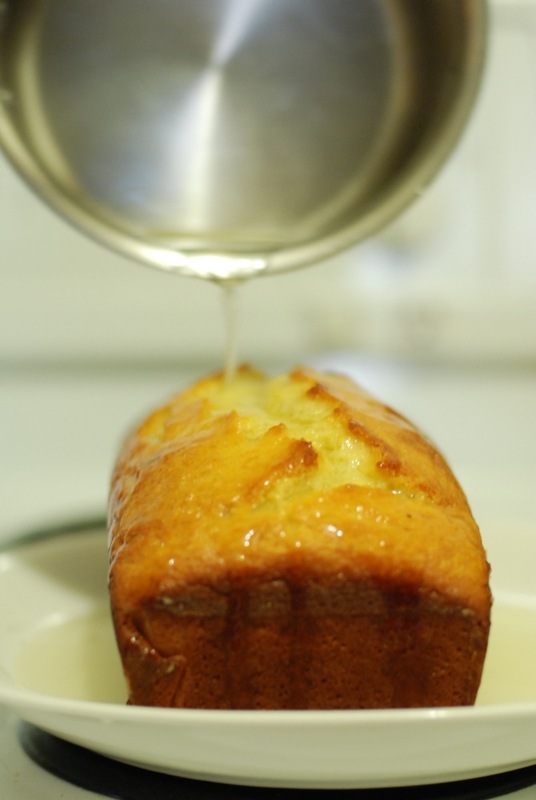 I poke holes as deep as I can on top with a fork/skewer so that the lemon drizzle really sinks into the cake – I even take a baster and keep drizzling over and over. It amazing! 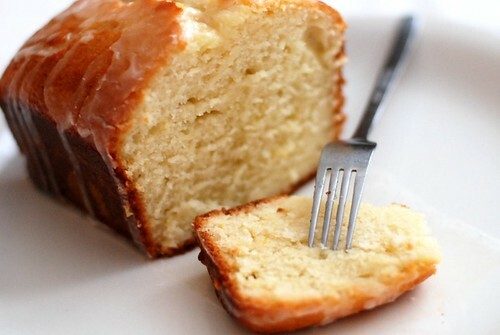 That cake looks like a delicious treat and that glaze is fantastic. I have a linky party on my blog every Saturday called “Sweets for a Saturday” and I’d like to invite you to stop by this weekend and link this up.